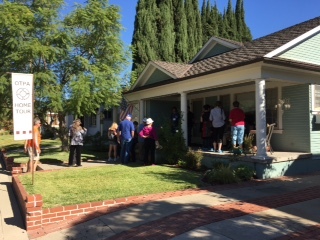 ​2017 historic home tour - another one in the books! What a weekend! 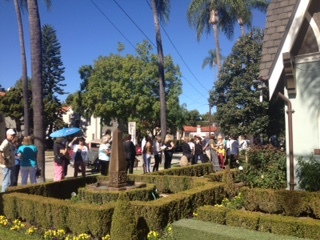 We had, great weather, a large turnout, and a very smooth operation. Over 1250 guests viewed our 6 properties this year, and the feedback has been terrific. We were very fortunate to have such a diverse assortment of homes this year. Representing several Architectural styles for which Old Towne Orange is famous! On behalf of OTPA I would like to thank our amazing homeowners for their generous hospitality. A special thanks to the Home Tour Committee, we could not have pulled this off without them. The entire OTPA Board of Directors for their support. Lisa Blanc, Mary Matuzak, Robert Imboden, Adrian Ober, Vickie Laughlin, Janine Storm, Nancy MacDonald, and Amy Thai. All of our docents that assisted throughout the weekend, and our Will Call staff at the Library. Special Thanks to……. Andrea McCullough for taking the lead on our historic research. Ricci Realty for providing transportation with their Trolley. Gary Zdenek of Gary Z Design. John Peters for Floral. Glory Johnson and Wayne Gensler for opening their home for our post tour celebration. Al Ybarra our fabulous chef. Amy Harpster and The Orange Public Library and History Center. The City of Orange for their continued support of OTPA. Wendy Bennett and all past Home Tour Chairs and committees for laying the groundwork. PreserveOC for hosting the “Kick Off” reception at the Hilbert Museum. 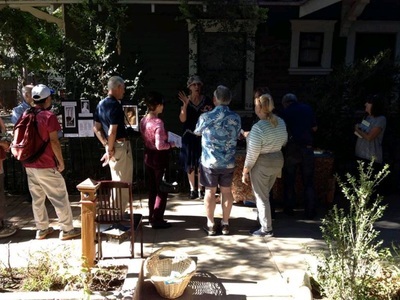 And a gracious thanks to you, the members of OTPA and all our guests of the 2017 Historic Home Tour! 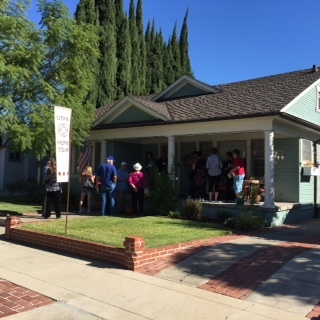 2015 Historic home tour - It's a wrap! Another successful OTPA historic home tour is in the rear view mirror! 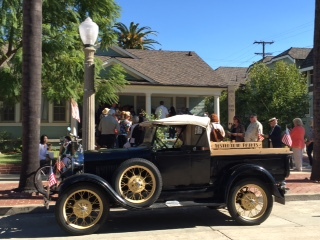 "The 2015 Historic Home Tour in November– although hindered by a temporary power outage affecting three of the tour properties, an unexpected closure of a home and numerous trolley follies – was a hugely successful event, selling over 1200 tickets and generating a lot of excitement around town! 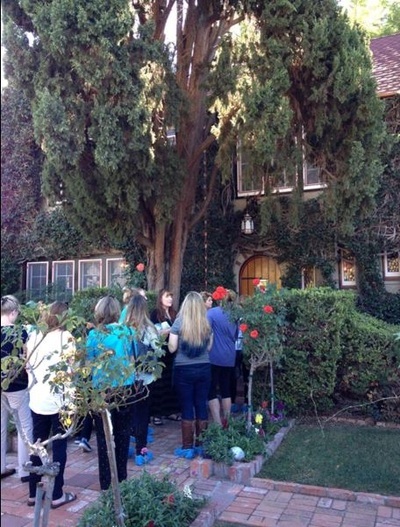 The homeowners truly poured their hearts and souls into preparing the interior and exterior of their homes for the tour. A special thank you must also go to docent liaisons Aaron Alduenda, Annalisa Goode, Mary Matuzak, Nancy MacDonald, Amy Thai, and Sue Vaurs. We are grateful for the generosity of Ricci Realty in providing the vintage trolley and a driver the entire weekend, Glory Johnson and Wayne Gensler were wonderful hosts for the finale party, Chef Al Ybarra, the many local florists, Joe Peters for opening his awesome backyard for our pre-tour event and Judy Schroeder and Patty Ricci for adding a special touch by coordinating the display of oil paintings for the pleasure of tour goers. Lastly, we could not have done it without the tireless hours put in by the home tour committee consisting of Carol Craig, Annalisa Goode, Glory Johnson, and Diana Zdenek. I would like to offer special thanks to Andrea Donahue, who spent many, many hours researching the homes and interviewing family members, and also Gary of Gary Z Design, for taking the reins and handling all the details involving graphics and printing. We hope you'll join us in 2017 for our next historic home tour!" 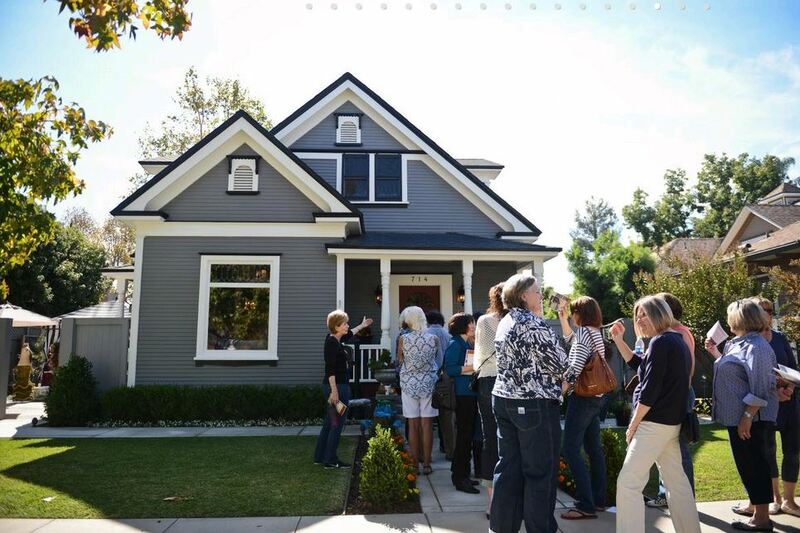 OC Register Article Re 2015 Home Tour!